The Calgary Flames have locked up defenseman Mark Giordano with a six-year contract extension. The deal is reportedly worth $40.5 million. 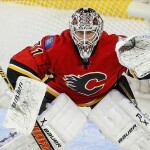 Giordano is entering the final year of a five-year deal that sees him earn $4.02 million against the salary cap. Critics of the new deal are automatically pointing to the fact that Giordano is 31 years old and has been injury-prone throughout his career. Last year he suffered a biceps injury that kept him sidelined for the last 21 games of the regular season and for the entirety of the playoffs. Injuries have definitely been a concern for Giordano. However, you cannot argue with Giordano’s effectiveness on the ice. I live in Alberta and cheer for the Edmonton Oilers, and if there was one player that I could take off my provincial rival’s roster it would be Mark Giordano. 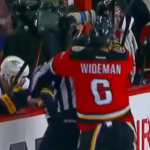 In my opinion, he is among the best captains in the National Hockey League. 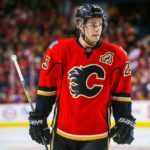 Under his guidance, the Calgary Flames were able to make the playoffs for the first time in what felt like forever with one of the most youthful rosters in hockey. It pains me to say this, but I am a little jealous of the amount of production the Calgary Flames were able to get out of an un-drafted defenseman, especially given the fact that fanbases league-wide are aware that defense is a sore spot in Edmonton. 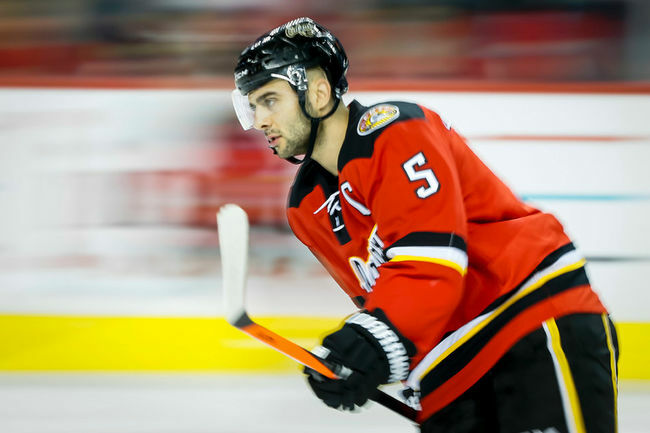 Face the facts: Barring injury, Mark Giordano would have been awarded the James Norris Memorial Trophy as the NHL’s top defenseman this past season. 48 points in 61 contests is setting a ridiculous pace, folks. I think the Calgary Flames spent smart money today. 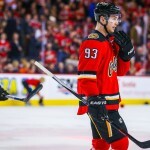 With their captain back in the fold on a long-term deal, the Calgary Flames now boast one of the best defense corps in all of hockey: T.J. Brodie , Dennis Wideman, Dougie Hamilton, Kris Russell, Ladislav Smid, Deryk Engelland and Mark Giordano. Reports suggest that Mark Giordano will have recovered and will be 100 percent healthy for the start of the regular season. I fully expect the upward trend for this organization to continue. It is my belief on the open market Giordano would have easily commanded more money. 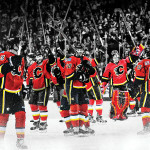 I guarantee one thing: the Battle of Alberta will be exciting for years to come.